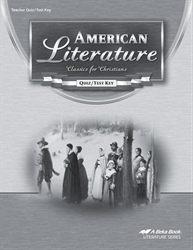 This helpful parent’s companion to American Literature Quizzes/Tests (sold separately) provides a copy of your teen’s literature quiz/test book with answers and point values supplied. Answers for test essay questions give the basic facts to be included. 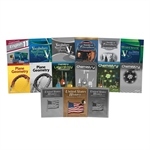 Since the literature tests for American Literature are designed to be given in conjunction with the grammar tests for Workbook V for Handbook of Grammar and Composition, the point values for both together equal one test grade. Grade 11.